What is a Blue Beanie? 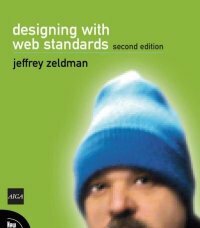 If you are into web standards and accessibility you have already seen a blue beanie on the cover of Jeffery Zeldman’s great book “Designing With Web Standards“. A must-have for any web developer – both amateurs and professionals. You can see the cover here to the right. The point of the event is to, on the 26th of November, wear a blue beanie when you go to work, to school, ride the subway, walk your dog at the local park, anywhere… This is your way of saying: Web Standards matter! Accessibility matter! This is your chance to raise awareness on this sometimes forgotten subject of web development. And add a picture of yourself on Flickr afterwards. This entry was posted by Thomas Watson Steen	on Sunday, November 18th, 2007 at 13:47 (GMT-1)	and is filed under Accessibility, Web Standards. You can follow any responses to this entry through the RSS 2.0 feed. Both comments and pings are currently closed.